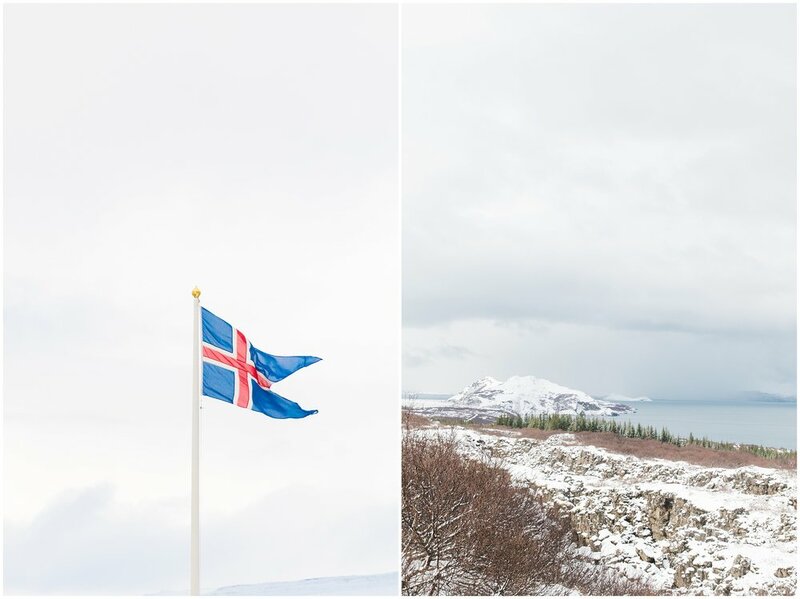 It's taken me a few days but I was finally able to go through our images from our short trip to Iceland! 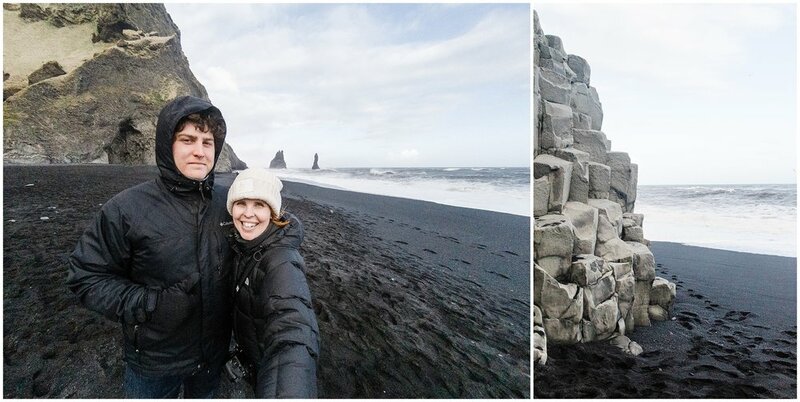 This was one of the most exhausting but fabulous trips that we've taken together and Kyle and I both absolutely loved Iceland! 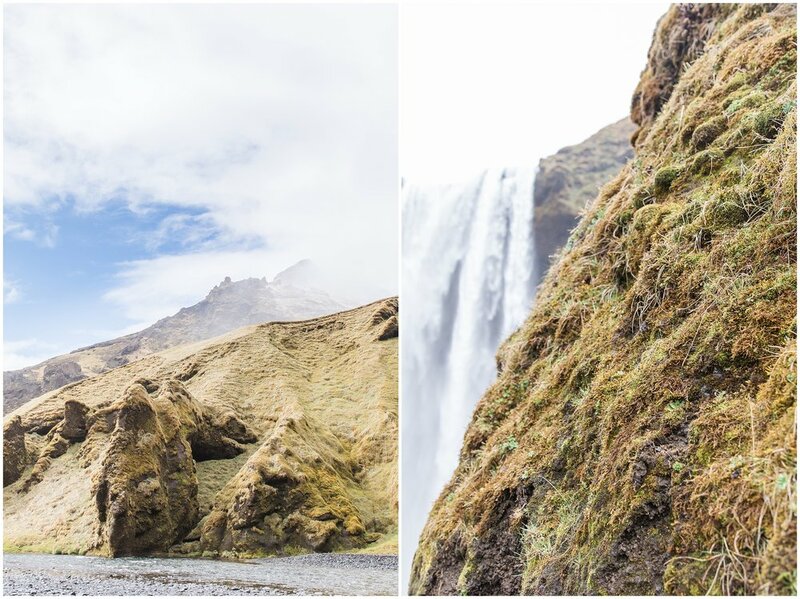 Between the brutal and constantly changing weather, the seemingly endless miles of moss-covered lava rock, the thundering waterfalls and the stunning glacial-carved landscapes, it was hard to not feel like someone plopped you down on another planet. 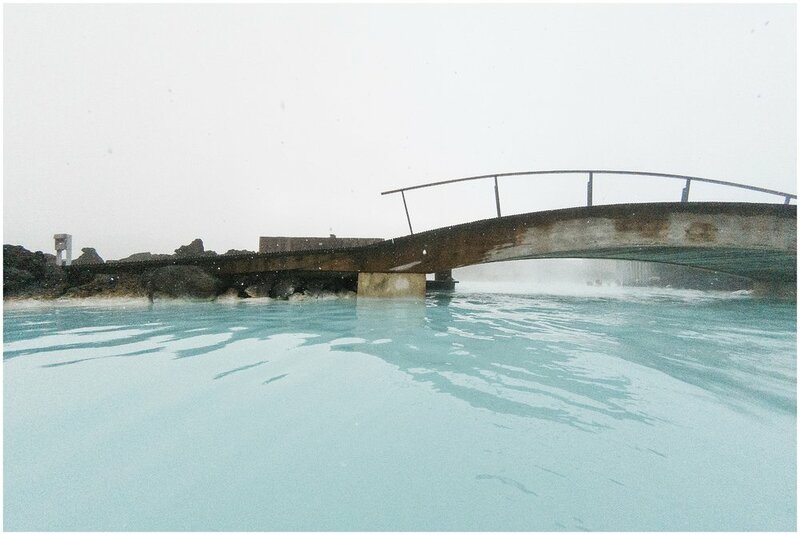 It's impossible to ignore that Iceland is a hotbed of volcanic activity and you'll get whiffs of sulfur periodically. Iceland is situated on top of two tectonic plates and has around 130 active and inactive volcanoes across the small island. Our itinerary included: The Blue Lagoon, Grindavik, Strandakirkja protestant church and coastline, Selfoss, Skógafoss Waterfall, Seljalandsfoss, Gljúfrabúi (though the water was far too deep for us to climb back inside to the hidden waterfall and the second entrance was blocked), most of downtown Reykjavík, the Golden Circle (Þingvellir, Geysir, Gullfoss and Kerið), Dyrhólaey, Kirkjufjara beach, Reynisfjara Beach, Hálsanefshellir cave (the tide was too high and the water was way too rough for us to actually round the corner to enter the cave), Vík, Laufskálavarða, Fjaðrárgljúfur (I was super, super bummed that this was closed due to the weather and horrible mud), Jökulsárlón and Svínafellsjökull. There was a lot that we didn't see but we felt really fulfilled and happy at the end of our trip regardless. 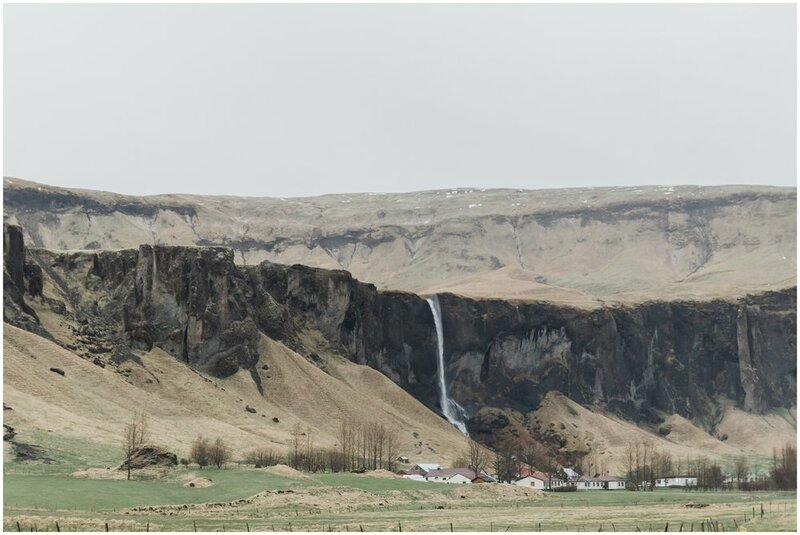 We both had the same "favorites" and Svínafellsjökull fell at the top of our list. 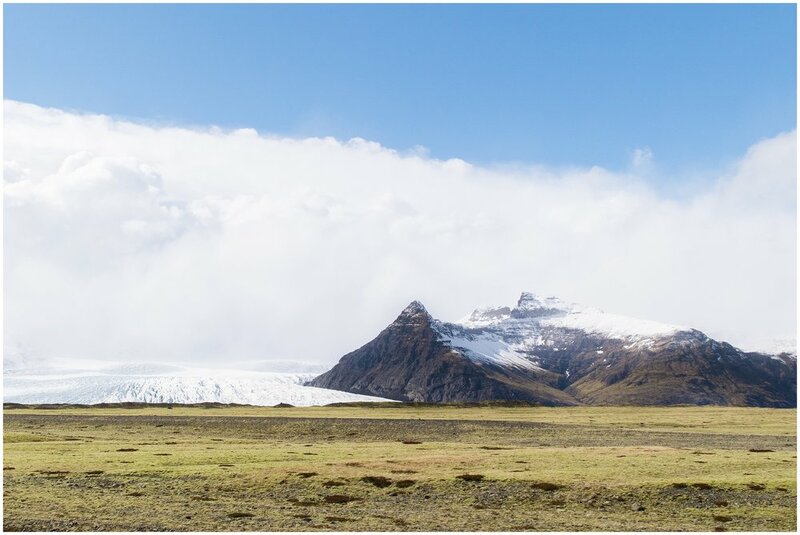 It is a Vatnajökull glacial tongue and wasn't originally on our itinerary. We saw cars pulling off onto a 4x4 road and decided to follow them and see what all the buzz was about. I wish we had spent more time at that spot but we were watching a dangerous storm roll towards us and had been greeted by a lovely plaque memorializing two missing hikers last seen at that spot so our anxieties got the best of us. On a more clear day, I would have loved to hike back further along the trail to the left side of the glacier. 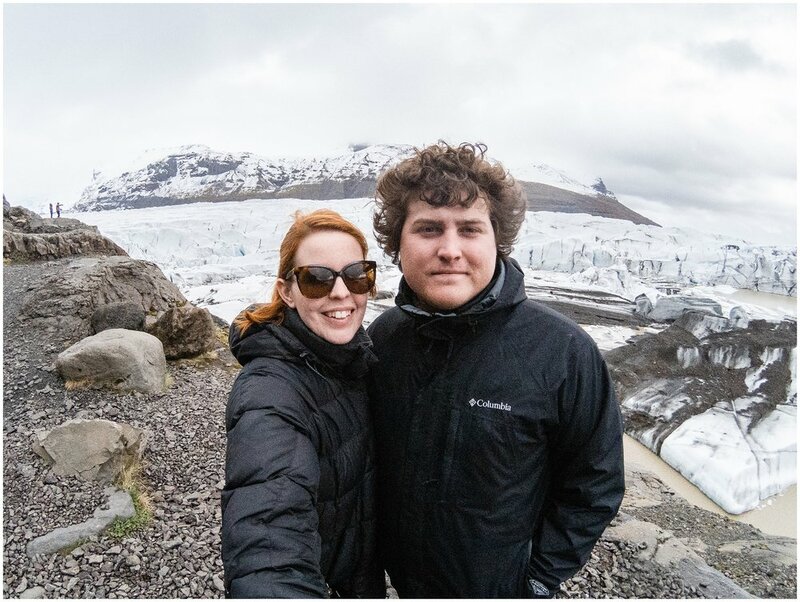 Game of Thrones used Svínafellsjökull to represent north of the wall in season seven (and we saw so many other Game of Thrones locations during our short time in Iceland which was really cool)! Almost everyone has asked me how I planned this trip and to be honest, we just sort of decided we wanted to go to Iceland. Well, I decided. The tickets were cheap and I had the weekend of my 27th birthday off from work. I knew a few other photographers who had traveled the country with raving reviews and so I booked it in a big hurry! I used a combination of a variety of other itineraries that I found on blogs (I preferred the ones specifically by photographers) to craft our must see list. Thankfully, this worked out wonderfully for us. Holy cold. 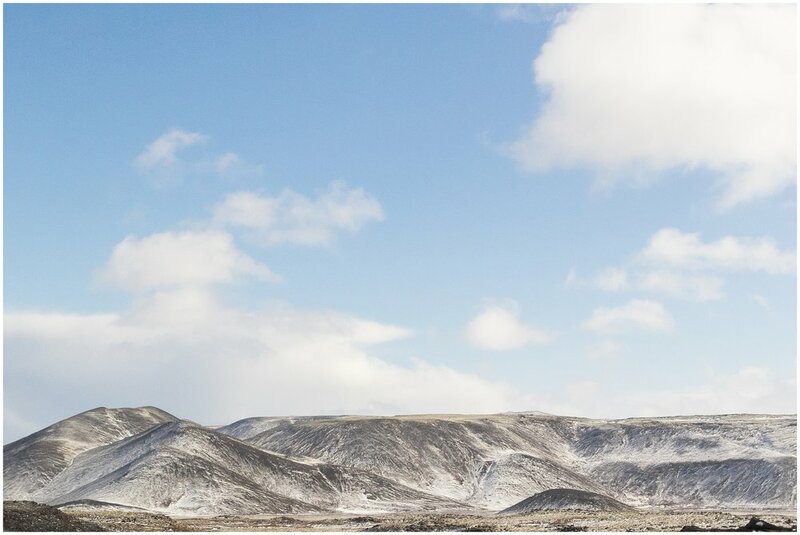 I had read a few places that Iceland's spring was quite far behind this year and I thought it would be in the high 40's but it was consistently in the low 30's for most of our trip. Waterproof, warm layers are essential. You have to be smart and safe. This country is unbelievably rugged and unforgiving. The wind on the south coast was moving our car while it was in park with the emergency brake on. In most places, help would be hours away. The wind made it impossible to walk in some places. When we were in Ireland, the Cliffs of Moher had been closed because the wind almost blew a woman over the side. I would liken Iceland's winds to that x10. The terrain and weather change in an instant and while that's super freakin' cool, it's also scary sometimes. Prepare to spend an insane amount of money on food. Kyle and I had to laugh because even at the discount grocery stores and gas stations, a single candy bar would be upwards of 8 USD. Iceland has to import almost everything so tropical fruits, a variety of veggies and common snack foods are mostly unavailable. Everything else is insanely expensive. We chose our meals and restaurants based off of reviews, blogs and feedback. I had a lot of people ask how we managed to pack for such a cold trip. We took one 22" carry on suitcase, one Jansport bookbag and my Jo Totes camera bag. 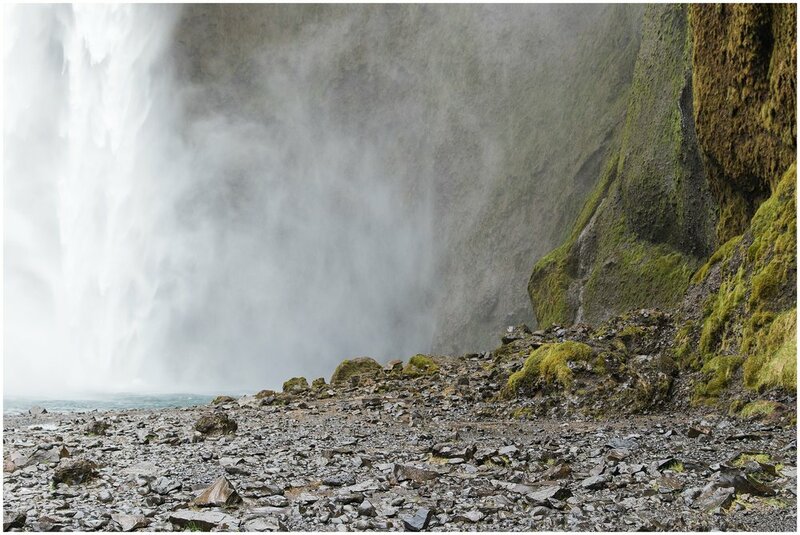 There are lots of blogs with Iceland packing lists but we recommend waterproof shoes above all else. Kyle wore these and I wore these and ones similar to these. We both had Columbia + The North Face winter parkas and rain coats along with hats and gloves. The terribly brutal wind requires ears and hands to be covered! 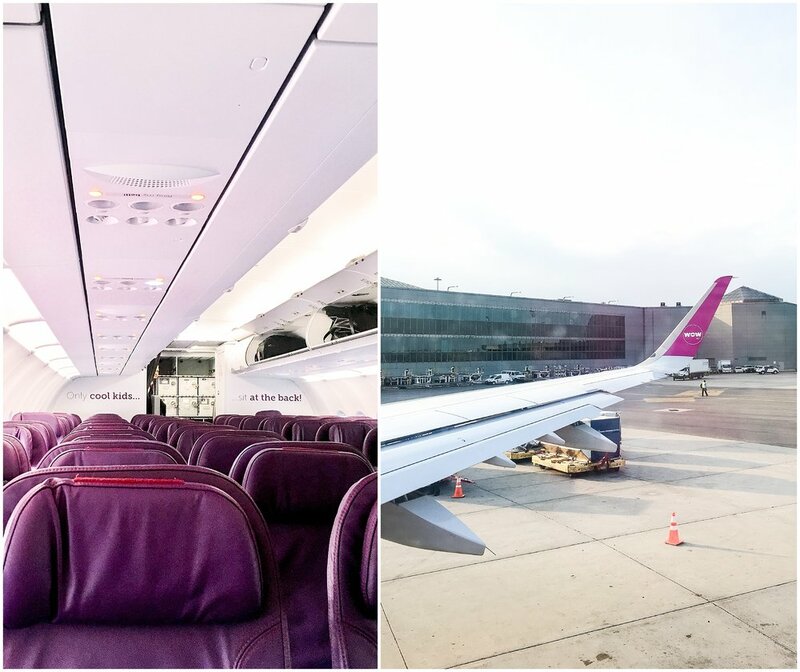 We would recommend having ear coverings and gloves even if you're traveling in August (the warmest month). If you're at all planning on going out in Reykjavík at night, even during dinner hours, people are dressed up. And I mean tuxes, suits, cocktail dresses, updo's and shiny shoes. We felt stupidly under dressed and we were eating burgers at an ale house at 3:30 PM so basically, take nice clothes with you and dressy shoes. 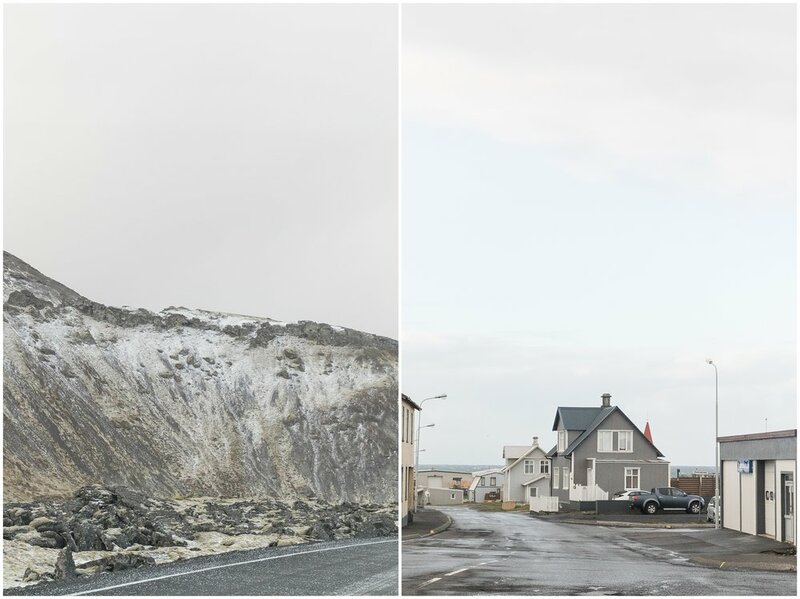 We did more driving during 72 hours in Iceland than we did in 10 days in Ireland. 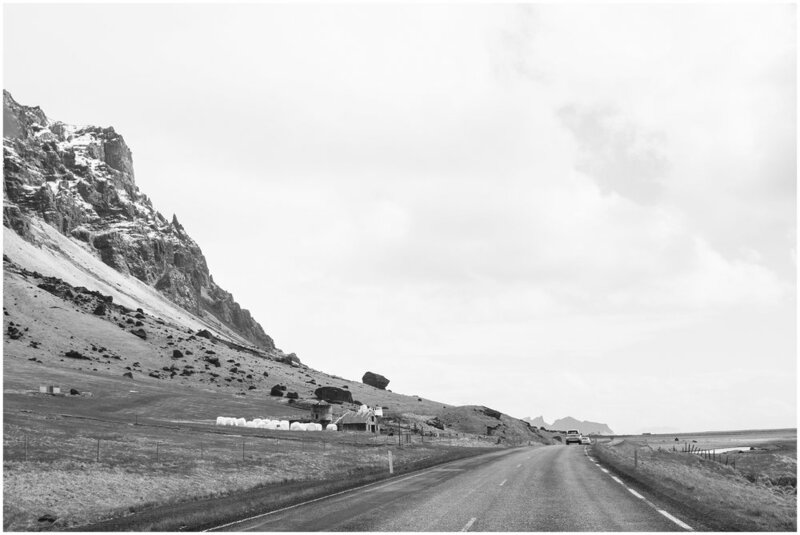 We think that the best way to see Iceland is definitely to rent a car and drive yourself. Alternatively, there are lots of tour companies that plan daily itineraries if you're uncomfortable with driving yourself or you'd prefer a more guided experience. We prefer to set our own pace and be able to have a flexible schedule so that's why we chose to rent a car using Blue Car Rental which is a local company that includes all insurances. 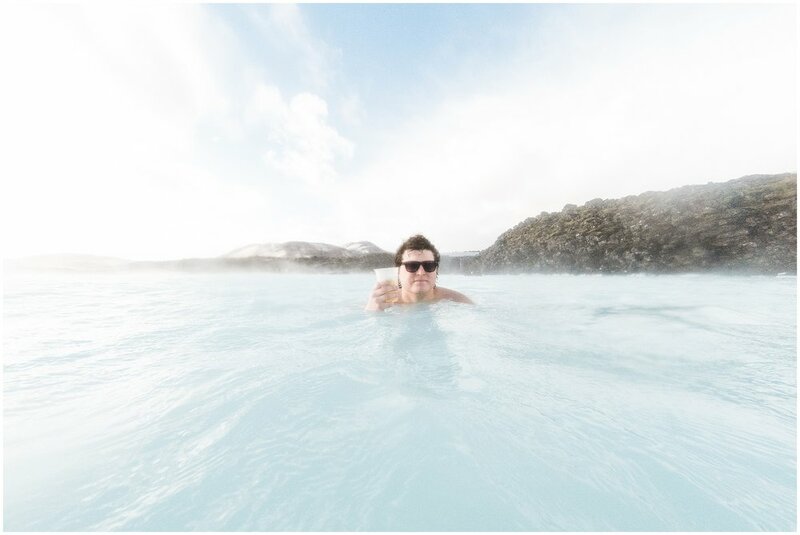 If I started talking about why insurances are important for rental cars especially in Iceland, we'd be here all day. Just know that ash storms are a very real thing. Gas is incredibly expensive. Know that NOW. 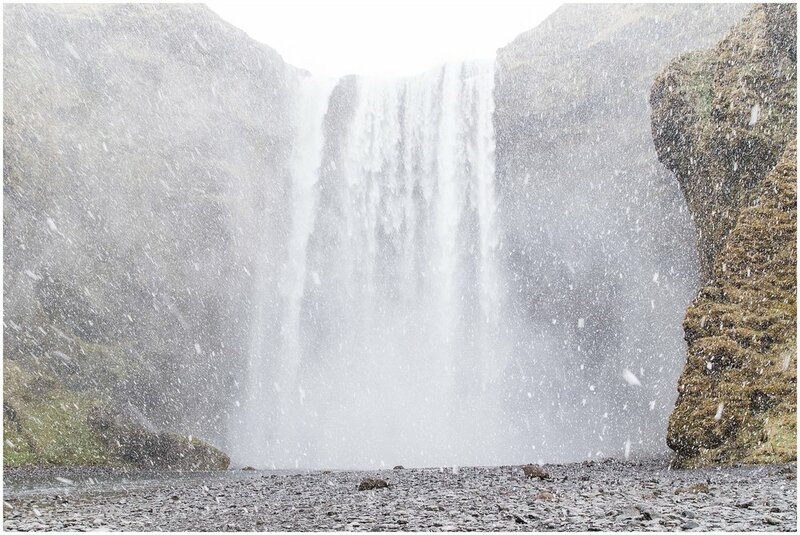 Iceland is cheap to fly to but once you're there, absolutely nothing is cheap. As my friend Lauren put it, everything is "offensively expensive". At the time of our trip, gas was 215 Króna per litre which equates to about $7.98 USD per gallon and gas prices are rapidly climbing. Gas stations are few and far between so we recommend purchasing a few prepaid gas cards for the N1 brand of stations and filling up as often as you can. If you pass a gas station, fill up. It could be another 3 hours before you see another one. Some attended stations will also preauthorize your transaction so you can pump and then pay (pumps require a chip and PIN card which most US credit card issuers will not provide but that's another blog post in and of itself). Icelanders drive cars just like here in the U.S. with a left hand steering wheel and they drive on the right side of the road. That part is easy! There are a number of one-lane bridges, the road signs are completely different and the road surfaces can be extremely unpredictable. The max allowed speed in the country is 90 km/hr or about 56 mph. There are speeding cameras throughout the country and if you're not obeying those speeding signs, the tickets can cost you about $800 USD. Not even kidding. 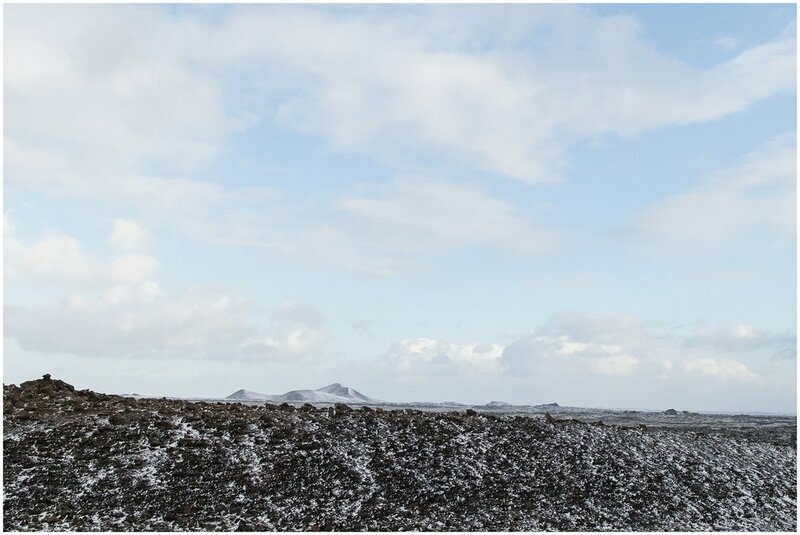 We enjoyed driving in Iceland but it's still undetermined if we escaped without any tickets! 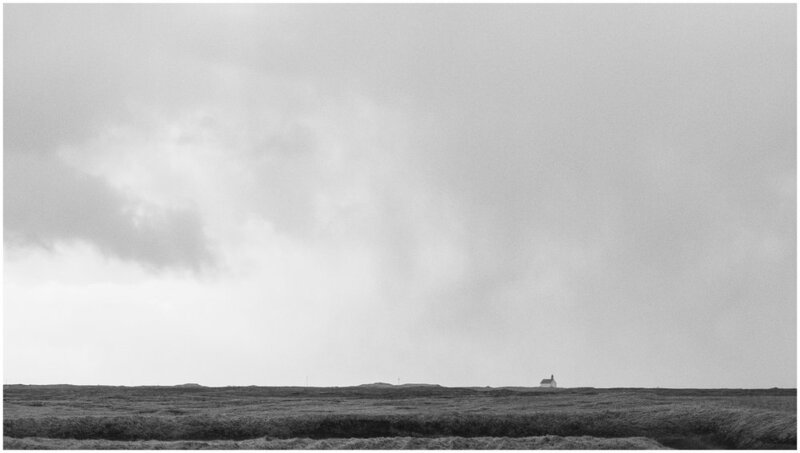 During our very short trip, we drove through hail, lots of rain, some blinding snow drifts and an ash storm. Anyone! 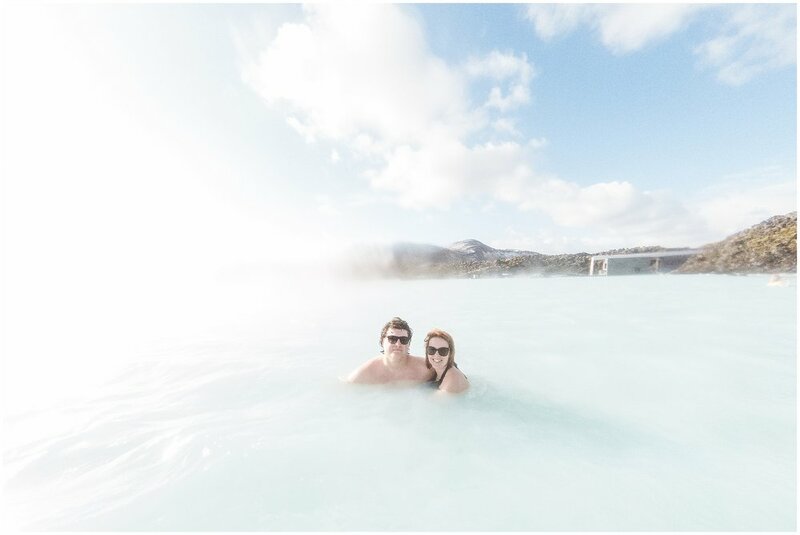 We felt so safe and Iceland is known for being really safe and accommodating for solo female travelers, LGBTQIA travelers and campers (camping throughout the country is very common and some people rent campers to spend 7+ days driving the ring road where other accommodations are unavailable). 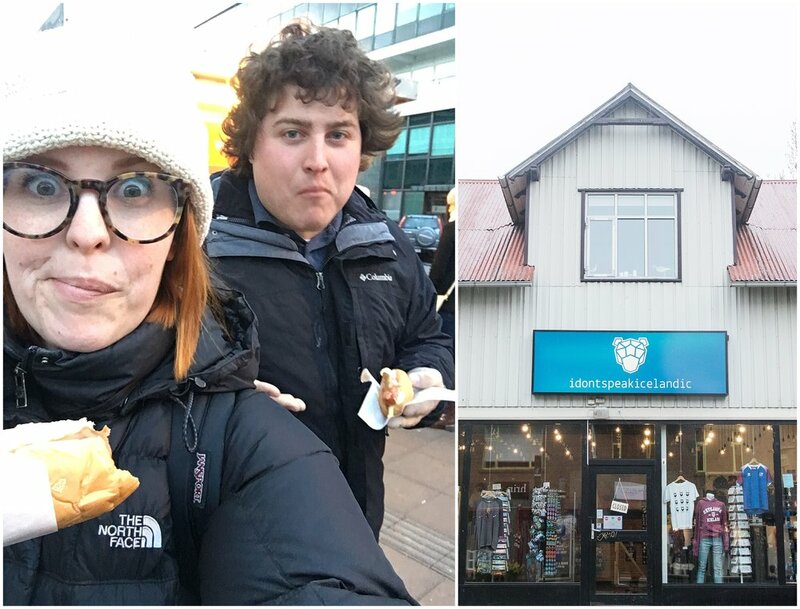 Iceland is easy to navigate - we had cell service about 90% of our trip and we were able to use Google Maps (though we did download an offline version just in case). 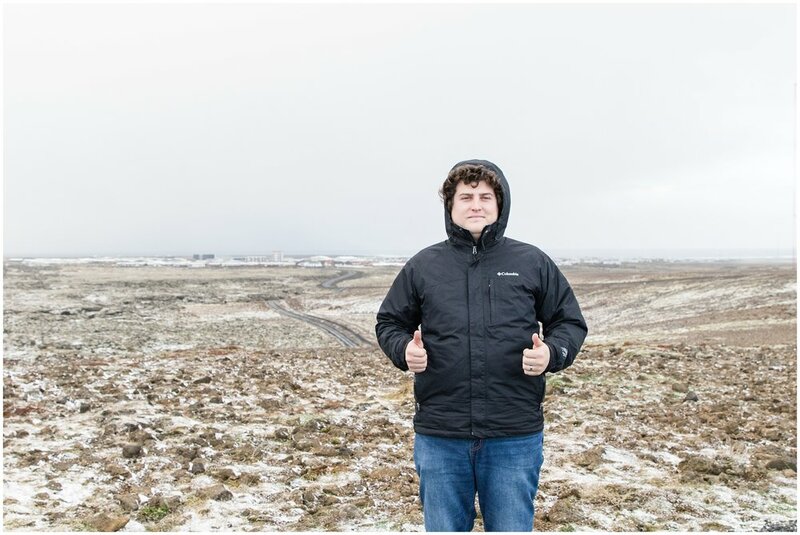 We used International Day Passes through our plan on AT&T in order to call, text and use data in Iceland. Cars with wifi and navigation are available too but we personally found that unnecessary. 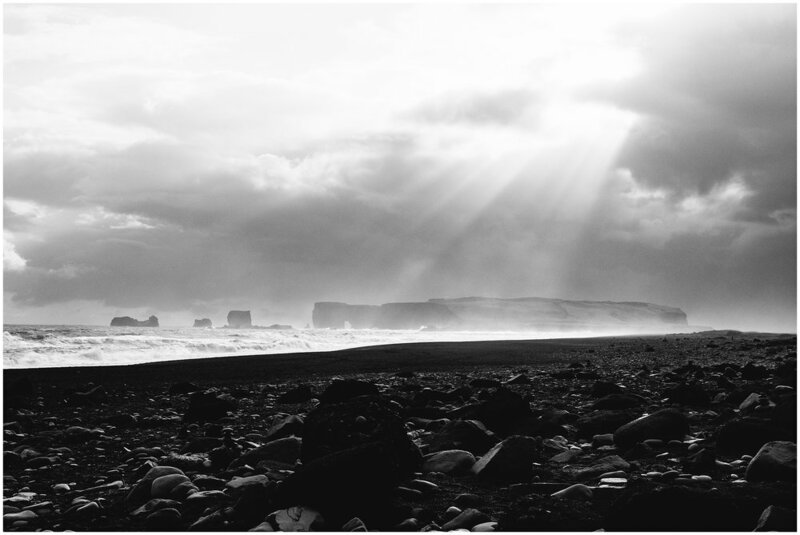 Almost everyone in Iceland speaks English but you may encounter a few exceptions. 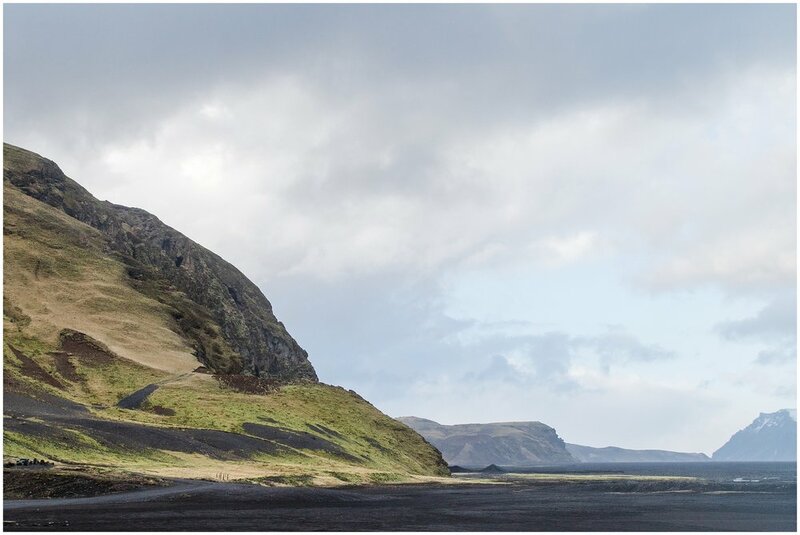 Especially if you are traveling east of Vík and visiting local restaurants (which we did), the likelihood of that is higher. It's one of the most jaw-dropping places that we have visited and there was not a single second where we weren't smiling and pointing out the next memorable landscape. Something important that I do want to touch on is who should not travel Iceland. If you've never traveled internationally before, if you've never visited another country where English wasn't the primary language and think that might be strange for you, if you're unwilling to do the research before your trip and go prepared, if you're looking for a relaxing vacation, if you're looking for a budget adventure and/or if you're not interested in outdoor activities in potentially brutal weather... Iceland is not for you quite yet. Otherwise, go go go! 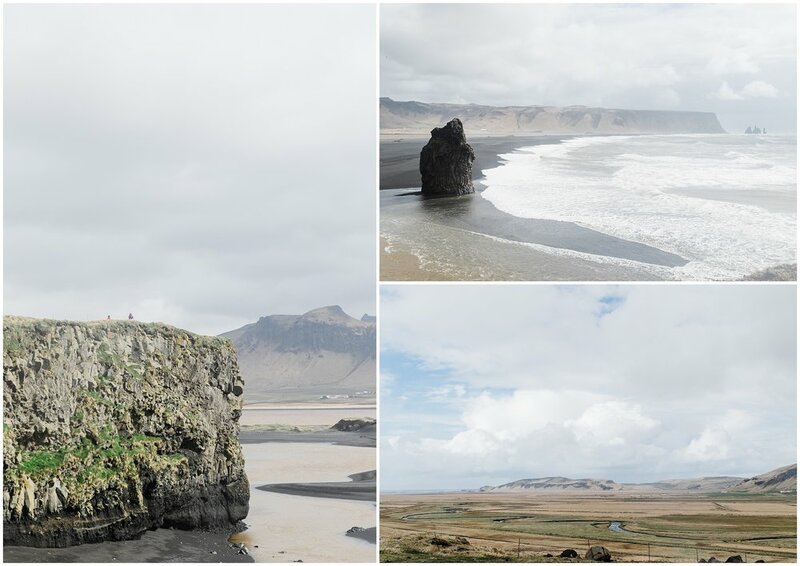 Vikings and trolls, fire and ice, faeries and elves - we embraced it all in Iceland. Enjoy some of my favorite shots from our 72 hours in the land of the midnight sun! below images are a mix of iPhone, Canon 7D MKii with the f/2.8 24-70mm and GoPro Hero5. 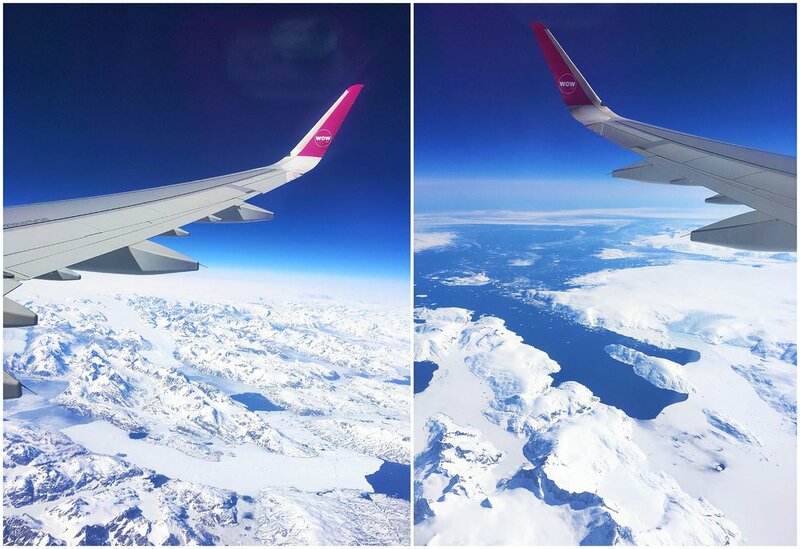 On our flight home, we had the immense privilege of flying 33,000 feet over Greenland with crystal clear skies. It was possibly the exhaustion but this was such an incredible thing to see (something I never imagined that I would) and I feel so lucky. It was the most perfect, peaceful way to end our 72 hours in Iceland.